1660 was the year of the Royal Society’s foundation. It was also the year in which Charles II granted a charter to the “Royal Adventurers into Africa”, an organisation who would trade in gold, wood, ivory, as well as slaves. The Royal Adventurers were often regarded as a ‘sister’ society to the Royal Society. Indeed, many institutions and companies at this time were investing in the profits of newly opened trade with America, Africa and Asia. A complete list of the 30 persons named in the Charter shows 11 members already associated with the Society, many of whom would become Fellows in the following years. Similarly, the Royal African Company – which would replace the Adventurers in 1672 – featured many more who were, or would become, Fellows – including Sir Joseph Williamson FRS, who would become President of the Royal Society in 1677. The Society’s first substantial endowment, of 1,300 pounds, was made in the Royal Africa and East India Companies, both of whom were involved in the slave trade. 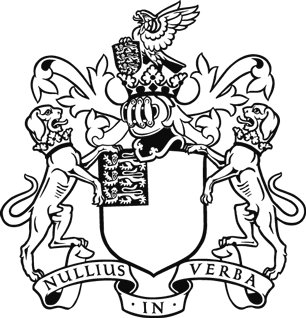 A number of Fellows of the Royal Society were involved in these organisations, including Paul Neile FRS, while Jeremy Sambrooke and Sir John Lawrence were Commissioners of the East India Company. Similarly, Bryan Edwards FRS (1743 – 1800), a plantation owner in the West Indies, spoke out against the movement to abolish the slave trade in Parliament in 1789. The emergence of international trade – for cotton, sugar, coffee, ivory and, of course, slaves – was closely linked with the interests of the Royal Society. As explorers and traders came into contact with new animal and plant species and with new populations, Fellows were curious to find out more and to collect representative samples. Sir Hans Sloane, who would become President of the Royal Society in 1727, spent fifteen months in Jamaica as personal physician to the Duke of Albemarle. During this time Sloane’s curiosity for the exotic and the unusual led to a collection of over 800 new plant species. He also collected a number of artefacts related to the slave trade, including a whip. The concern with race, skin colour, and the lifestyle of black people continued, as is shown in the following letter from the Society’s archives (letter no. 55, Classified Papers). This was a ‘Question and Answers’ item sent out to a Royal Adventurers trading post, a way of gathering information ‘from the ground’. In a loosely connected string of questions, the Fellows seek answers to a number of – for them – perplexing problems. 14. Whether it be true yt newly born children of ye blacks are not black but of a whiteish colour, inclining to yellowish, with yet in a month to change black? 21. Whether they relish their fish best when stinking? And whether they eat elephant’s flesh, a great delicacy even after it has been dead many days and stinks carrion like? 24. Whether it be true yt ye commodities bought of ye Europeans by ye people of Fetu in Guiny and by their neighbours in Acania are carried to Assingrad in ye Sam Acania, and from there through Alance to Accabel, and yt this Accabel lying 12 days behind Acania is yt very country wherein are those gold mines out of which comes ye most and best gold for which ye European commodities are bought by ye blacks? This suggests how science was closely linked with commerce and empire, meaning that we cannot disassociate the research being done by these early Fellows from their interests – commercial or otherwise – outside of the Society. However, other members of the Royal Society were opposed – either in principle or action – to the slave trade. As time wore on, more and more Fellows and other individuals used their political as well as scientific influence to condemn the activities of traders and plantation owners. William Allen FRS (1770 - 1843) was a Professor of Natural Philosophy in the Royal Institution and Fellow of the Linnaen Society. His nomination to the Royal Society states him as a “Gentleman well versed in various branches of Philosophical knowledge”, a man likely to “prove a valuable Member”. As well as science, Allen had a keen and practical interest in schemes of social improvements, helping to found an agricultural colony in Lindfield, Sussex. In 1805, Allen was elected to the Committee of the Society for the Abolition of the Slave Trade. Allen’s involvement in the abolition movement was focused on the Society for the Abolition of the Slave Trade. 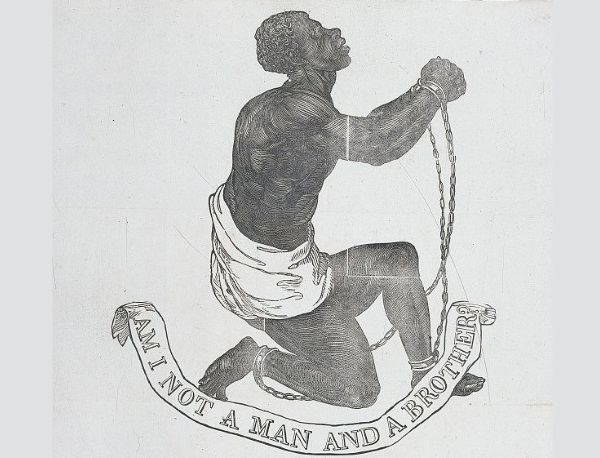 While the slave trade was crucial to Britain’s economy, popular sentiment was moving against it. And while William Wilberforce had seen in the Abolition of the Slave Trade Act in 1807, there remained considerable work to do worldwide into the 1840s and 50s. This was particularly relevant in opposing the now “clandestine” slave trade that emerged after the 1807 Act. This image shows the historic meeting of the 1840 Convention, featuring over 500 delegates. Allen is seated in the front row (number 2). Allen had been swayed fully to the cause after hearing Wilberforce’s four hour speech in Parliament in 1791, commenting that he: “exposed the horrid traffic in its native deformity, and showed, with undeniable clearness, that its abolition, so far from injuring our West India islands, would, if adopted, be the means of improving them”. Allen was instrumental in gathering opposition to the ‘apprenticeship’ clause, whereby slavers classified slaves as “apprentices” in order to continue the now illegal trade. He was joined by a number of other FRS and scientists, including Henry Brougham FRS, 1st Baron Brougham and Vaux (who had been elected at the age of 25 for his work with prisms and light). Famously, Josiah Wedgwood – the potter and inventor – was elected to the Royal Society in 1783. Wedgwood therefore put his industrial and technical capabilities toward producing one of the 19th century’s most iconic pieces of material culture.